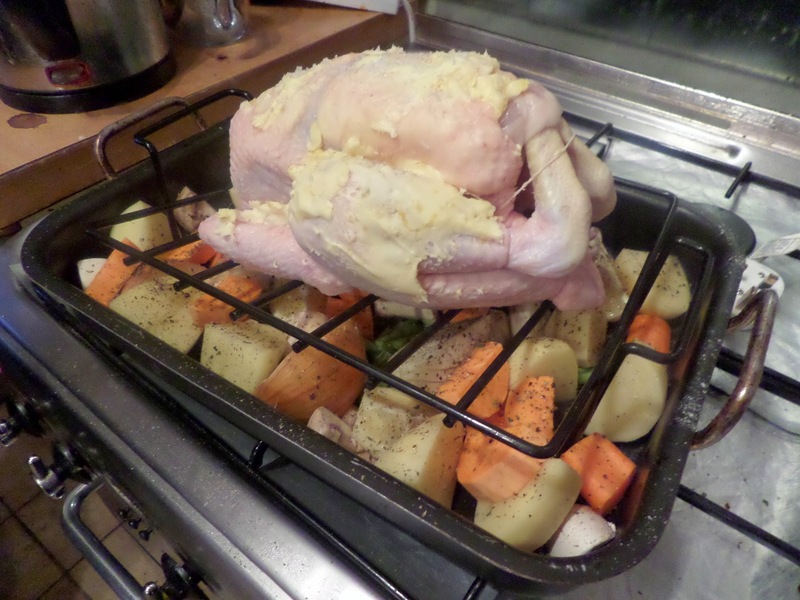 It’s been too long since we had a roast dinner, so we decided on a simple roast chicken for Sunday’s dinner. For the chicken we mixed butter with lemon zest and rubbed that over and under the skin, then chopped lemons went inside to keep things moist. The chicken went on a rack over all the veg. And, er, we cooked it as instructed! We very nearly forgot to make stuffing, but remembered just in time! Sage, onion, bacon & bread went into the food processor and got processed, then Soph made stuffing balls and we popped them in the roasting tray for the last 30 minutes of cooking. 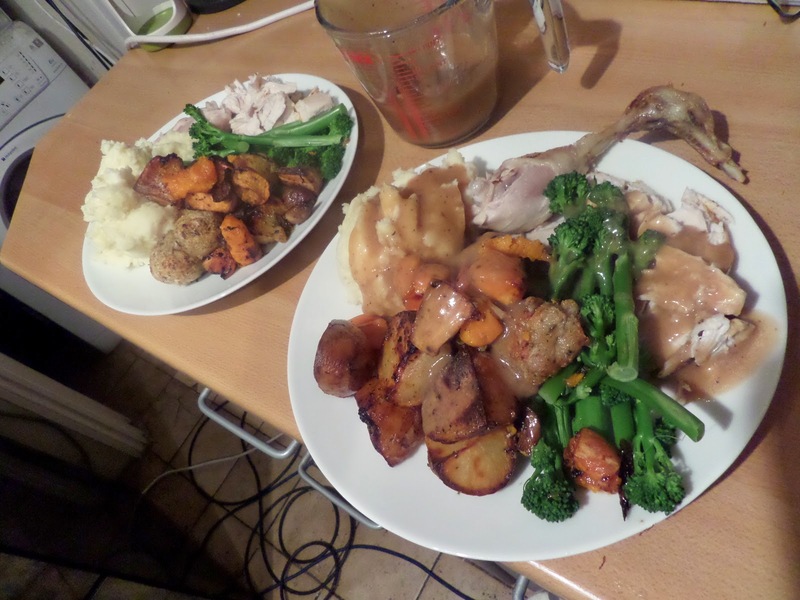 While the chicken was resting Soph made a gravy from the juices in the roasting tin, and we steamed broccoli in the microwave: and then we ate!